Flying rights: Is Saudi Arabia getting the biggest share in Indian skies? India is set to raise Saudi Arabia's flying rights quota by 40% from April 1 following which Saudi will become the only country within a 5,000-km flying distance from India to get a quota increase by the Modi government, the Economic Times reported on Thursday. Citing sources, the daily said the decision was taken in the view of incentives provided by Saudi Arabia. The oil-rich nation has unilaterally allowed Indian carriers to add as many flights as they want to Dammam. According to the report, the new aviation policy does not allow any extra seats to countries within 5,000 km flying distance from India unless Indian carriers exhaust 80% of the flying rights quota. While Indian carriers at present are utilising only about 74% (barring Dammam), authorities expect it to cross 80% by April. India had earlier reportedly declined requests for an increase in flying rights by Dubai, China, Malaysia, Singapore, Qatar, among others. 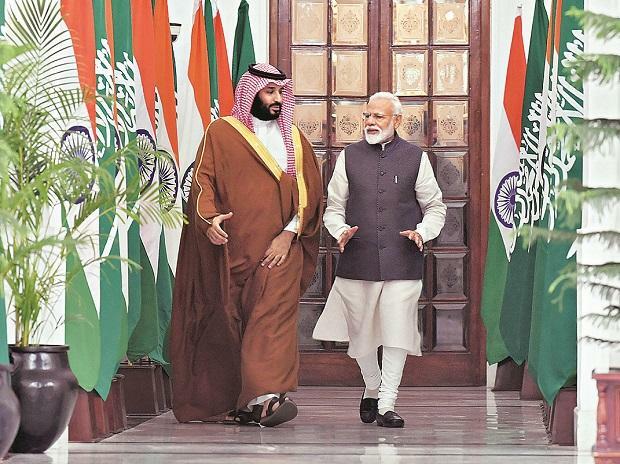 The move comes weeks after Saudi crown prince Mohammed bin Salman's visit to India. During the visit, the crown prince had announced plans to invest $100 billion in India.